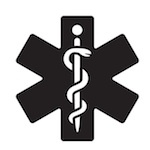 While no one would like to have an emergency in Cabo that requires a visit to a doctor or hospital, that does sometimes occur. Many rumors have portrayed Mexican hospitals in a bad light, but there is no reason to be afraid of your hospital visit in Cabo. 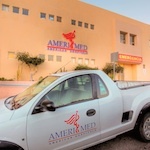 With some of the most up to date equipment, the hospitals and doctors in Los Cabos are used to treating many different emergencies and illnesses. Many of the hospitals in Cabo are on par with their American counterparts in terms of quality of care, so don’t be afraid to visit a doctor if necessary while on vacation. 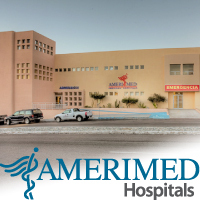 Amerimed, a network of hospitals originally conceived to serve international tourists, has hospitals in Cabo San Lucas and San Jose del Cabo. 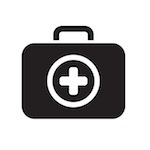 A bilingual team of medical staff is trained in emergencies as well as specialities such as Neurosurgery, Cardiology, Pediatrics, Orthopedics and more. Facilities include an ER, private rooms, intensive care unit, Cath Lab, complete XRAY department among other modern technologies. 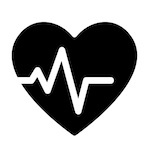 Medical Services Offered: Nursery, X-ray, Emergency Care 24/7, Intensive Care Unit, Intermediate Care Unit. For more about hospitals and medical services in San Jose del Cabo, please visit our San Jose del Cabo website – All About San Jose del Cabo. 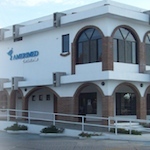 From dentists to therapists, you can find just about every type of speciality doctor in Cabo San Lucas. 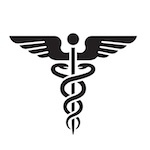 Below is just a sampling of the medical services that are available in the Los Cabos area. counseling and psychotherapy, mental, emotional, and physical stability, personal growth, psychological wellness and spiritual unfoldment. Surgery options: Botox Face Lift Liposuction Breast Augmentation Eyelid Surgery Body Sculpting and more. There are also many emergency services such as airlifts and other response services that can be arranged. With prices less than in the United States and less wait than in Canada, Mexico has become a popular spot for Medical Tourism. For many, the idea of an elective or even necessary procedure with recuperation on the beach is appealing. Medical Tourism in Cabo San Lucas ranges from gastric bypasses and plastic surgery to dental procedures. 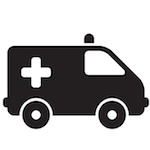 Most people wonder about whether or not hospitals in Cabo San Lucas will take their insurance. Most hospitals will take your insurance. Visit their websites for a list of insurances or call the hospital. *Please note that All About Cabo lists hospitals and emergency information for informational purposes only. It is not to be held liable for anything that happens at any of these hospitals. Please see our disclosure for more information.